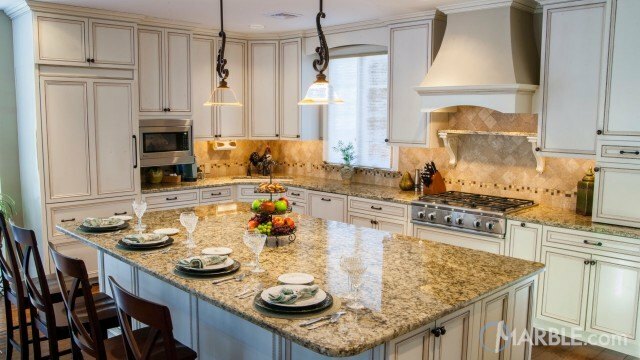 Santa Cecilia Real is very consistent granite with a combination of yellow, gold, black, and burgundy bursts. It is quite similar to regular Santa Cecilia, but is a little lighter in coloration. This stone is commonly used for bathroom vanities and kitchen countertops.